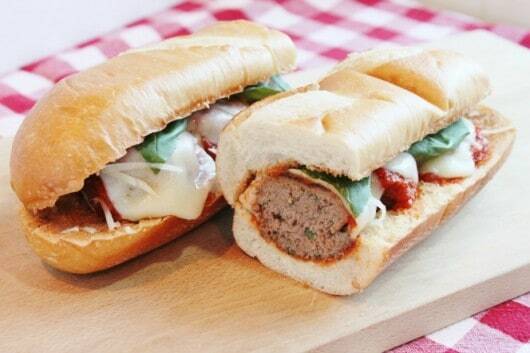 Meatball subs are comforting to me in many ways. There are memories of them so vivid I could almost taste them…. It had been raining for days and to get out of the house for a while my mom made meatballs in sauce and put them in her yellow Pyrex bowl, you know the one all moms had in the 70’s. Along with the meatballs there were sub rolls, and cheese, cloth napkins and paper towels so we didn’t make a mess and she packed it all in the trunk of our car. When my dad came home from work, which was typically 5 o’clock. She had the trunk all packed, then we piled into the car and headed down the shore to watch the boats go in and out the inlet. It was fun, we were all together, sharing funny stories, eating meatball subs that my mom and day would get an umbrella and go to the trunk and prepare just like short order cooks. Then the fun began. My dad went out to through some trash away and the wind caught his umbrella and it flipped inside out and it was POURING at this point. In seconds he was soaking wet. We were in the car watching and well…yes…laughing. My dad is a calm person, doesn’t get upset easily but I’ll tell you we will NEVER forget the look on his face. My mom said to us ok, don’t laugh when he gets in the car. He through out the umbrella after trying to see if it would flip back and be okay, but no the wind was just too strong. It flipped inside out again and he through it out. We all felt so upset for him, but well we couldn’t stop laughing. He got in the car and we tried to keep quite, really we did. I thought I was going to explode! He was fuming mad. We hid our faces in the cloth napkins so we didn’t have to look at each other and we didn’t want to upset him more. He did eventually laugh about it himself, that is after he dried his face and realized just how funny it must have been to us. I miss those days and unfortunately I don’t think I’ll be reliving that day anytime soon. I saw photos of where we used to eat those meatball subs and well…it’s almost unrecognizable. Hurricane Sandy sure did a number on the Jersey Shore as well as other areas of the East Coast. Combine all ingredients in a large bowl and mix until everything is combined. 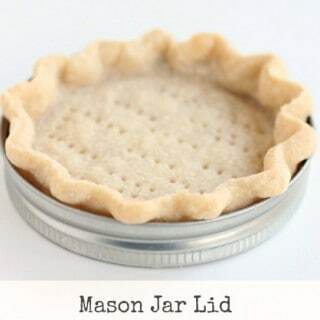 If you are using slices of bread, wet them, ring the excess water out and them add it to the mixture. If you don't like getting your hands really messy, try wearing food service gloves or placing all the ingredients into your mixer and mix on medium for about 2 minutes. 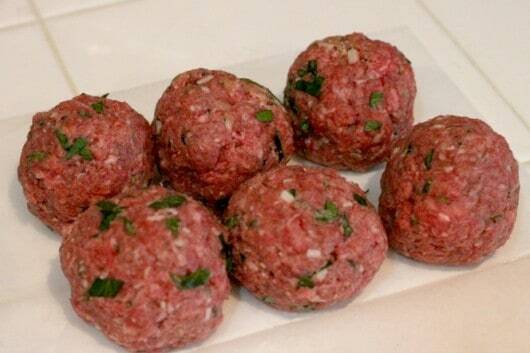 Using a large scoop (3 tablespoon) for the meat into meatballs and roll them in a circular motion until they are formed and holding together and smooth on the outside. 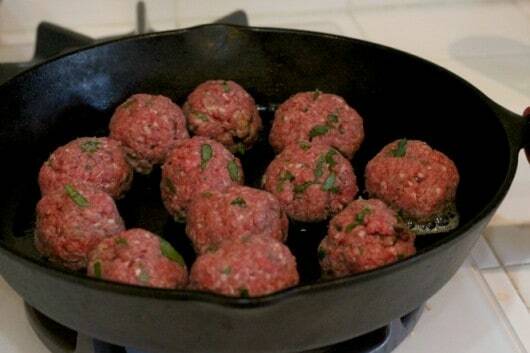 Place meatballs into the skillet, allow them to get lightly browned before moving them or they will fall a part. Heat meatballs until they are cooked and the internal temperature reaches 160 degrees. 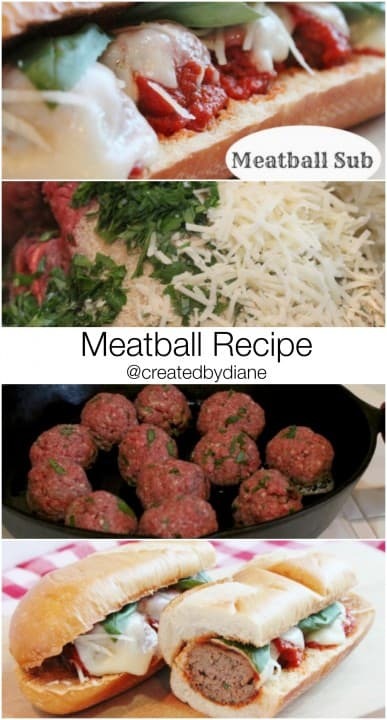 You can also bake the meatballs on a baking sheet at 375 degrees until internal temperature reaches 160 degrees turning them about every 5 minutes. Heat tomato sauce on medium heat and place meatballs into the sauce. Toast the sliced bread under the broiler for a couple minutes. *keep an eye on it, you don't want it to burn. 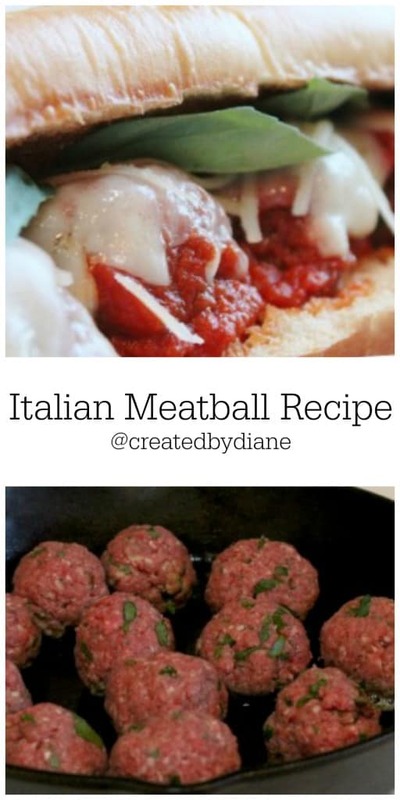 Place meatballs on sub rolls, them add meatballs and add some extra sauce on top of each meatball, then top with mozzarella cheese. 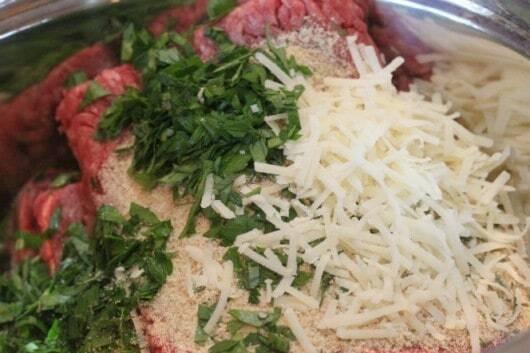 Rolling all the meatballs the same size will help them cook all at the same time and makes for an even sandwich. Cook meatballs on medium heat. If you try to hurry it and cook them on high they will get burned, trust me on this! Many, many memories I have revolve around the wonderful beaches and hang outs. From being a kid and swimming and playing in the arcades to walking on the boardwalk and falling in love with my husband. I’m sad, and my heart goes out to all the victims. I hope they are able to rebuild the shore, so many others will be able to have such fond memories. We moved over 10 years go from NJ to Ca. There are many things I miss. Going down the shore is certainly one of them. We have taken our kids there and they love it too! Do you notice the one similarity in the photos…. My son is wearing the same shirt! Yes for over 4 years he wore that shirt,he wore it often and he wore it proud. Peace, Love, French Fries and New Jersey. My daughter would sneak the shirt out of his closet once in a while, after she outgrew her New Jersey Shirt. I think it gave them both comfort when we would visit and we’d show them where my husband and I were from, where they were born and visit all our family and friends. I’m sad to say we no longer have that shirt. But I think they will really like the new shirts I just ordered for them. ERGO Clothing is donating 100% of the profit to Hurricane Relief +Aid. There are many ways to help the victims of Hurricane Sandy. I just know how my family feels about helping, and the hope that others will see them wearing their shirts may just prompt others to help if they can. Help will be needed I’m sure for as long as they will be wearing them! 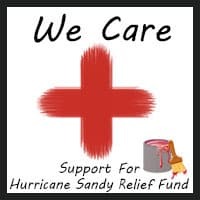 There are many organizations to donate to here are a couple more if you are able to help. Growing up, my family went to the Jersey Shore every summer. It’s been heartbreaking to see the footage. 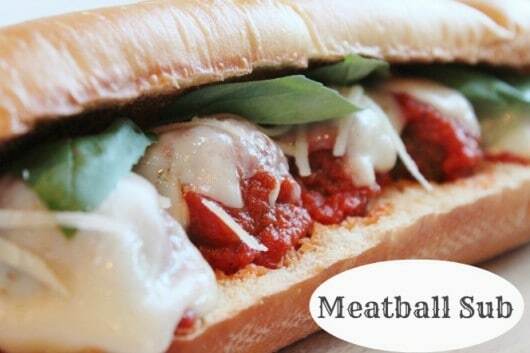 This meatball sub looks wonderful and I think it’s great that you’re sharing these links. I hope it’ll help in some small way for all the victims! 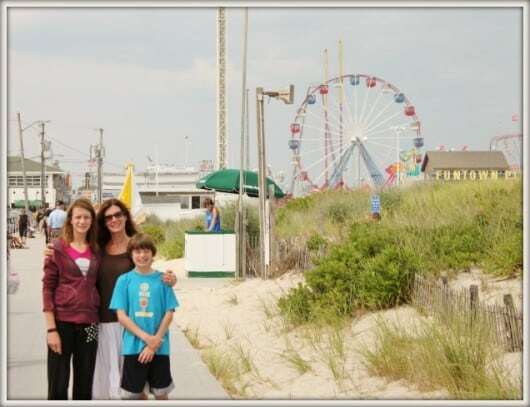 What a beautiful post Diane – it is devastating what Hurricane Sandy did to New Jersey and areas around there. Thank you for helping to spread the word to help those affected by the hurricane. Your sub is pure comfort food. such a sweet story, such a beautiful post! I hope many will hear our messages today! I hope so to Kristina! What a touching story, Diane, and such a wonderful way to show your support as the community begins the process of rebuilding. Beautiful Diane! It’s so devastating what has happened to New Jersey… that whole area has been totally destroyed. 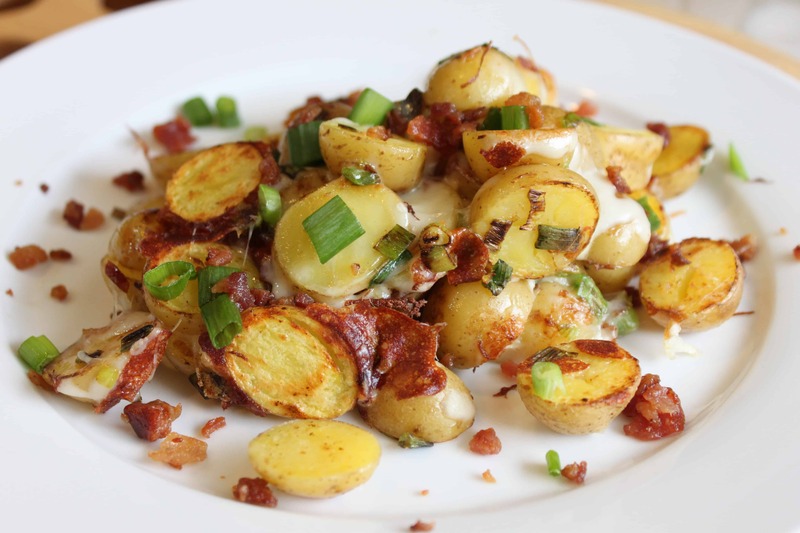 Thank you for sharing your story and this fantastic recipe. I love meatball subs, I haven’t had one since the last time I was up in the Northeast. Thanks for sharing your compassion, I hope food bloggers everywhere today are able to raise a lot of money to aid the victims of Hurricane Sandy. So, so saddening to hear about all the destruction caused by Hurricane Sandy. What a beautiful post to help a wonderful cause. And your subs look delicious! Your subs look fantastic…comfort food for sure…such great memories evoked by them! 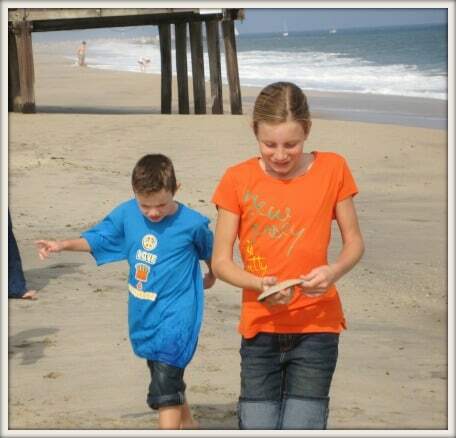 Thanks for encouraging support for the victims of Hurricane Sandy…I think my kids would like the T-shirts, too! oh yum! 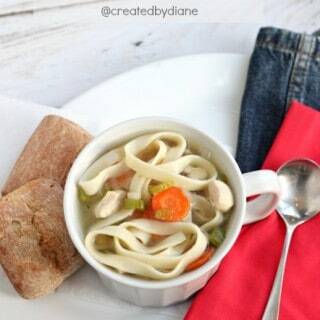 Looks like pure comfort food! 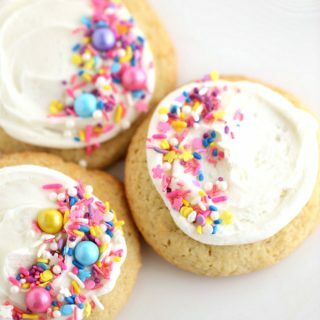 Diane, you did a wonderful job with this post of connecting the food we love with the emotions we feel for special places in our lives. Kudos. This looks fabulous and loved your story but also feel the heartbreak so many have at the devastation. Thankfully people do care; glad to see another group connecting bloggers with ideas for giving; so much is needed! Wonderful post, Diane. What happened to New Jersey is totally unbelievable–who would think a hurricane would do that much destruction so far up north? It’s heartening to see so many people coming together to support the relief efforts. wonderful post! i just can’t believe all the images we are seeing come across the tv. shocking. can’t believe they have snow, now too! just terrible. Great post and thank you for sharing all of the information & links about how to help! Those shirts are great, I may order some too. Thanks for drawing attention to them and to Sandy relief efforts. Oh girl, I haven’t had a meatball sub in SO LONG. …It’s time!